Cryptocurrency, blockchain and ethereum are developing at lightning speed across the globe. 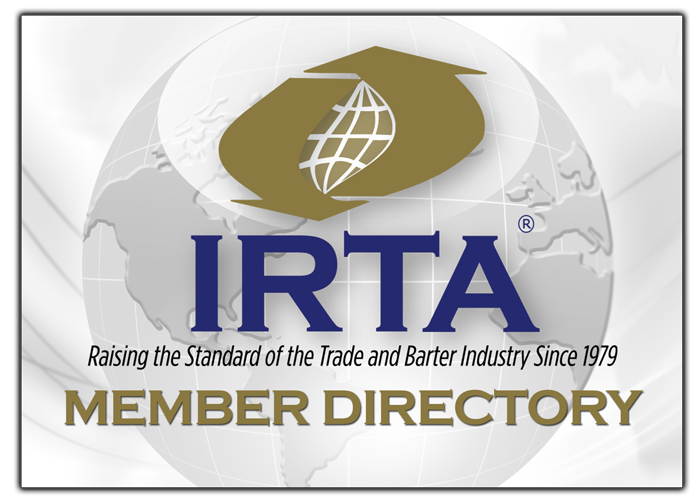 IRTA views these sectors as both a risk to, and a potential opportunity for the barter industry. On the risk side, IRTA released a "Cryptocurrency Money Transmitter Advisory Memo," in February of 2016 that detailed the differences between cryptocurrencies and barter exchange trade dollars. It is important for barter exchanges to differentiate themselves from cryptocurrencies since banks and financial companies have, and continue to, deny merchant services and/or credit lines to barter exchanges, based on their misperception that barter exchanges are cryptocurrency organizations. If barter exchanges are deemed cryptocurrency companies, they can be subject to the expensive money transmitter financial registration requirements of their country and/or state. Trade dollars do not have stored value, they do not earn interest and are not securities. Barter exchanges are third party record keepers, barter exchanges do not take possession of money for transfer. Barter exchanges do not hold collateral or guarantee trades between members. No cryptography methodologies are present with trade dollars. Trade dollars are pegged to the country currency and are not speculative in nature. IRTA has received an important written opinion from California that supports IRTA's position that trade dollars are not cryptocurrencies and therefore are not subject to California money transmitter regulations, (see Addendum "A" of the attached IRTA Cryptocurrency Advisory Memo). While fixed-value cryptocurrencies may develop into a valid opportunity for our industry - the meteoric rise in highly speculative cryptocurrencies and their ICO's can pose a threat to our industry. In February of 2016 there were approximately 500 cryptocurrencies, as of March 2018 the number has grown to over 1,550 cryptocurrency companies. Investor speculation in cryptocurrencies has reached a frenzied state while governments at every level try to decide whether to write strict anti-cryptocurrency regulations, leave it alone, or strike a "proportionate" appropriate balance. While many financial observers characterized the 2017 cryptocurrency landscape as the "wild west," 2018 may well be destined to be the year of cryptocurrency regulatory reckoning. The U.S. regulatory history to date concerning cryptocurrencies was recently best described by SEC Chairman as "a patchwork of regulations" that are either friendly, hostile or murky towards the cryptocurrency sector. The SEC's recent March 7th, 2018 public statement clearly communicated its desire to apply securities laws to cryptocurrency exchanges and digital wallets. Yet, conversely, the Wyoming senate just passed legislation that exempts cryptocurrencies as "securities" and categorizes them as a new kind of "property" called "utility tokens" - thus arguably making Wyoming for the moment, the "go-to destination" for crypto businesses and investors. Back on the stricter side, the Eastern District of New York recently ruled that cryptocurrencies are indeed commodities under the Commodity Exchange Act, (NYCE:CEA) and therefore subject to federal Commodity Futures Trading Commission's (CFTC) anti-fraud and anti-manipulation authority. Judge Weinstein noted, "until Congress clarifies the matter, the CFTC has concurrent authority" along with other state and federal administrative agencies and civil and criminal courts over cryptocurrency transactions. Cryptocurrency as an alternative payment system directly within the barter exchange system. Offering cryptocurrency for purchase to the barter exchange and its members, via a direct reciprocal arrangement. The barter company acting as a broker for various cryptocurrencies and introducing them as alternative payment options within its own barter exchange of even as a general recip currency between barter exchanges. All three of the above approaches potentially create, at worst, a direct link between the barter exchange and cryptocurrencies, or at best, the inference that such link exists. The mere inference that a barter exchange is participating in cryptocurrency transactions puts it at risk of being denied merchant services or having its bank credit line facility withdrawn. Furthermore, the current highly speculative, unregulated nature of cryptocurrency offerings, be they pre-ICO or at the ICO level, present an extremely volatile high-risk financial environment that could result in loses to the barter exchange itself and/or its members. The threat of being perceived as a money transmitter, combined with the high-risk nature of cryptocurrencies, requires IRTA to caution exchange owners to do careful due diligence before deciding to participate with a barter-related cryptocurrency. As stated in IRTA's initial February 25, 2016 Cryptocurrency Money Transmitter Advisory Memo, "the ongoing evolutionary nature of the cryptocurrencies and money transmitter regulations, IRTA will review" and provide updates on this topic as needed. IRTA will continue to balance the opportunities and risks that cryptocurrencies present to the barter industry, or as best said by UK Chancellor, Phillip Hammond, "manage the risks around crypto assets, as well as harnessing the potential benefits of the underlying technology."